Tales From the Borderlands: Zer0 Sum puts you in the lives of Rhys (voiced by Troy Baker) and Fiona (voiced by Laura Bailey). Rhys is a normal Hyperion employee who works with his best friend Vaughn, and is about to receive a promotion in the company. Suddenly you learn that Vasquez, (who is one of those co-workers that you hate) kills the former boss and promotes himself to be your new boss. Rhys and Vaughn embark on a journey to Pandora to screw over one of Vasquez's business deals, so that you can gain your promotion you truly deserved. On the other hand, Fiona is a con-artist living on Pandora with her sister Sasha, who were taught by their adoptive mentor, Felix. Rhys and Fiona get mixed into each others lives when they come to find out that the deal Fiona was about to rip was the deal that Rhys was about to go through with. Rhys, Vaughn, Fiona and Sasha then set off to retrieve their stolen money from the leader bandit Bossanova. This sends the group through a crazy journey into the monstrous world of Pandora. Tales From the Borderlands: Zer0 Sum is the first instalment of the very first season of the newly loved series. Telltale Games are known for their outstanding work on their other projects such as The Walking Dead Season 1 & 2, The Wolf Among Us, and their newly released Game of Thrones series. As far as episodic games go Telltale Games is the master of creating them, and they certainly don't disappoint with Tales From the Broderlands. 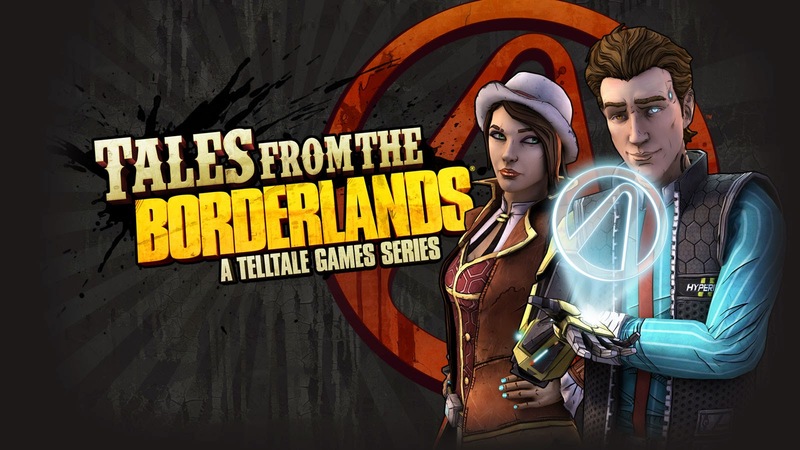 The story of Tales From the Borderlands is without a doubt hilarious and super addictive. Each episode is approximately two and a half hours in length, and the time will fly by without even noticing. All the game play mechanics are executed perfectly like the transitions between dialogue choices and action sequences. Although there are some rare occasions where the game will drop frames or even freeze for not even a second. The original Borderlands series is a full out first person shooter, and this take on Borderlands allows the player to get more of a story experience rather than focus on nonstop action which is nice. I can tell from experience that the Tales From the Borderlands seems to run more smoothly on next-gen (Xbox One & PS4 & PC), rather than current-gen (Xbox 360 & PS3). Another great feature added to Tales From the Borderlands is the fact that the actual choices you pick literally happen, and the crucial choices result in more intense and explosive events. 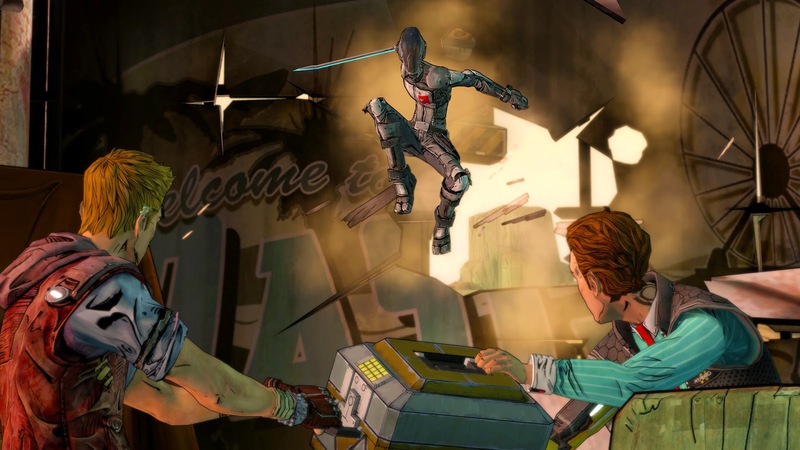 At first, I thought that Telltale Games would have a tough time creating an episodic adventure game out of the Borderlands series, but they sure nailed it. Any Borderlands fan must play this game because it is going to be an awesome journey through out the rest of the season. I've also been told that people who aren't that big into Borderlands will enjoy this game, and I don't disagree with this statement. Tales From the Borderlands blew me away with the things they were able to alter from the original series. They are able to set the stage perfectly for the next episode, which will leave you in wonder of what is in store for you during the next episode. Needless to say, Tales From the Borderlands is a must buy, and is personally my favorite Telltale Games made to date.